Creative Assembly has again teased fans on what to expect from "Total War: Warhammer 2" as the sequel fast approaches its release in September. Players get to see a first look at the game's campaign map, which features two new continents. In the newly launched "Campaign First Look"' trailer, the game developer has offered a sneak peek at the new continents, Ulthuan and Lustria by means of "Total War: Warhammer 2" campaign map. Gamers get to see both the Lizardmen and High Elves in position and know more about the game's mechanics as well. "The journey begins in the High Elves' homeland of Ulthuan, where The Great Vortex crackles with magical energy on the Isle of the Dead; its dangerously unstable presence a magnificent but ominous sight that dominates the immediate landscape," publisher Sega teased. 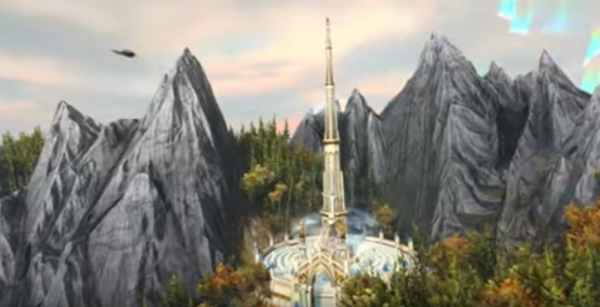 The High Elves who live in Ulthuan is ruled by Prince Tyrion and players get to see a glimpse at the enchanting White Tower of Hoeth and the Fortress Gates of Ulthuan in the video, where the highly advanced and well-contented race reside. Then the trailer for "Total War: Warhammer 2" shifted fans' eyes to the waters of Lustria, a home to several of races in the Old World can be found, and to the Turtle Isle where High Elf Arch-Mage Teclis is seen going after the Lizardmen's land. Gamers are acquainted to two Lizardmen Legendary Lords, Slann Mage-Priest Mazdamundi, and the famed Saurus Old-Blood Kroq-Gar who will lead the Lizardmen warriors to a battle verus the High Elves at The Fallen Gates. "Total War: Warhammer 2" will feature four new races, one of which still remains a secret, although, speculation has it that it will be the Skaven race. The sequel's release date is set to arrive on Windows PC come September 28. ‘The Last of Us 2’ Update: Naughty Dog Reveals Slow Pace in Development; Game’s Next Appearance at PSX 2017?